What Can You Do with an Offshore Company? Knowing how to safeguard your financial interests is a skill that businesses and individuals can benefit immensely from. Tax payments and government regulations have the potential to leech significant chunks of money from your bank accounts if you stay within the same country. For this reason, many people choose to set up offshore companies or financial entities to do away with the possibility altogether. Corporate taxes are some of the highest tax burdens in the world. The average corporate tax across the world is 29.41%. Some countries have lower corporate tax rates than others. It pays off to have your company headquarters registered at an offshore location like the Cayman Islands because your tax payments can be reduced significantly. As you begin to save on immense tax payments, you can use this money to reinvest in the business or simply live off it. Having your businesses registered in foreign countries has your company’s assets safe in a stable economy. Once you set up your headquarters in an overseas location, any assets that fall under the company’s umbrella are then influenced only by the country’s economic conditions. So even if your home country doesn’t do so well, the foreign country will remain stable and preserve your financial integrity. Having an offshore company somewhere in Hong Kong or Singapore, for example, will give you access to major financial centers of the world. These two countries, in particular, are places where the best financial management teams are found and the entire world’s corporations come to conduct business. Being in close contact with these organizations can give you access to new business and financial opportunities. Businesses in many countries find it difficult to invest in other countries because laws and regulations don’t allow it. This could happen for political and/or economic reasons, but it also implies losing lucrative business opportunities. If you move your companies offshore, you can bypass these regulations in your home country because they don’t apply to your organization. If you specifically establish your company in a country that has good trade ties worldwide, you can then easily expand your business across the globe.  Expat Money Show is a financial consultancy that helps individuals set up offshore financial entities. Our services include helping our clients set up offshore bank accounts, offshore companies and offshore gold and silver vaults. Get in touch with us today for more information on our services or to hire our assistance to set up your offshore accounts and companies.